Do I need to treat my braces with special care? Patients should brush their teeth at least two times each day . We will show each patient how to floss their teeth with braces and may also provide a prescription for a special fluoride, if necessary. Once treatment begins, we will explain the complete instructions and provide a comprehensive list of foods to avoid. Some of those foods include: ice, hard candy, raw vegetables and all sticky foods (i.e. caramel and taffy). You can avoid most emergency appointments to repair broken or damaged braces by carefully following our instructions. Generally, braces do not “hurt.” After certain visits, teeth may be sore for a few days. In these situations, pain medications will ease the discomfort. However, after most visits, patients do not feel any soreness at all! 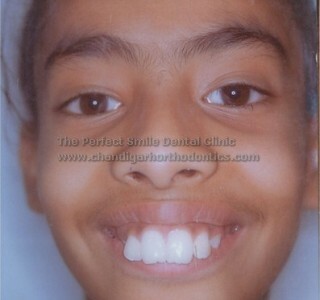 Orthodontic treatment time obviously depends on each patient’s specific orthodontic problem. In general, treatment times range from 12 to 30 months. The “average” time frame a person is in braces is approximately 16 months, but with new technologies the duration can be reduced to less than a year also. What is so important about orthodontic treatment? It is very difficult to keep crooked and crowded teeth clean, making tooth decay and gum disease more possible. 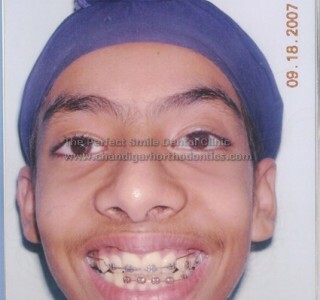 When left untreated, the orthodontic problems only grow worse. Often times, orthodontic treatment can prove less costly than restorative dental procedures to care for tooth decay and gum disease. We believe you should never underestimate the value of a beautiful smile. Not only will a beautiful, healthy smile boost your self-confidence and your self-esteem, but it can prove beneficial for your social and career success. What are the most common problems treated? Proper chewing is impacted by this type of bite, in which the upper and lower front teeth do not overlap. Open-bite may cause a number of unwanted habits, such as tongue thrusting. This type of problem is caused when the back bite does not fit and match appropriately, which negatively impact jaw and proper dental may function. While most bad bites are inherited, some are acquired as a result of accidents, dental disease or premature loss of teeth, or bad habits like thumb/finger sucking. No matter the cause of the malocclusion, the problem has affected both the alignment of the teeth and the development and appearance of the facial features. When can people begin orthodontic treatment? Orthodontic treatment is available to patients of all ages. In accordance with the American Association of Orthodontists, we recommend that children have their first orthodontic evaluation by the age of 7. With early evaluation and diagnosis, children can achieve optimal orthodontic results. Early treatment provides a range of benefits and often means that a patient can avoid extractions ,psychological trauma, surgery or other serious complications. There is, of course, no age limit for orthodontic treatment as both children and adults benefit from orthodontics. As such, our office accommodates orthodontic patients of all ages.